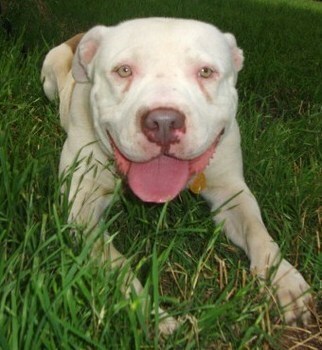 Swisher is a 1 year old brown and white male pit bull. Swisher we rescued from a animal shelter and is a bundle of joy to be around. 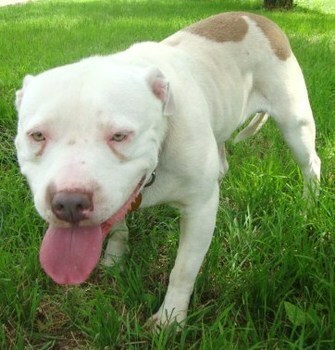 Swisher has a wonderful personality from the minute he see’s people he just falls in love with everyone he meets. Even through the heartache of being at a animal shelter he still has so much love to give and receive from people even from the first moment he meets someone. 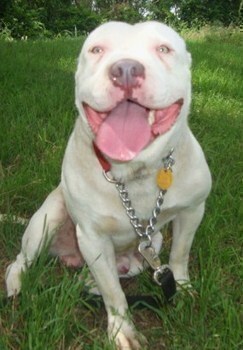 Swisher gets along great with other dogs, children, and is working on being housebroken which is going well. He comes up to date on shots, neutered, microchipped, and on heartworm preventative. If one is looking to give Swisher his forever home please fill out the application above.